Discover three of Spain’s most impressive cities in just two days on this tour from Costa del Sol. 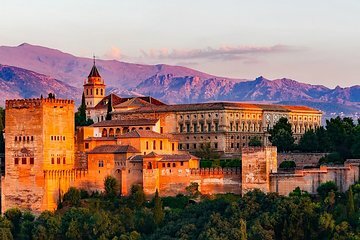 Tour the UNESCO-listed Alhambra, Nazari Palaces, and Generalife gardens in Granada, and spend the night in the city. On the second day, explore the UNESCO-listed city of Toledo, enjoy a delicious lunch at a local restaurant, then finish your tour in the Spanish capital. Tour departs from Costa del Sol /end will be in Madrid.